Commercial soda pop contains a lot of chemicals, fructose corn syrup and sometimes caffeine. When I did drink soda years ago I was pretty much addicted. I cut back quite a bit but this looks like an interesting recipe. 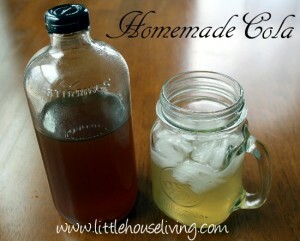 Click the Make Your Own Homemade Soda Pop link below to see the recipe.